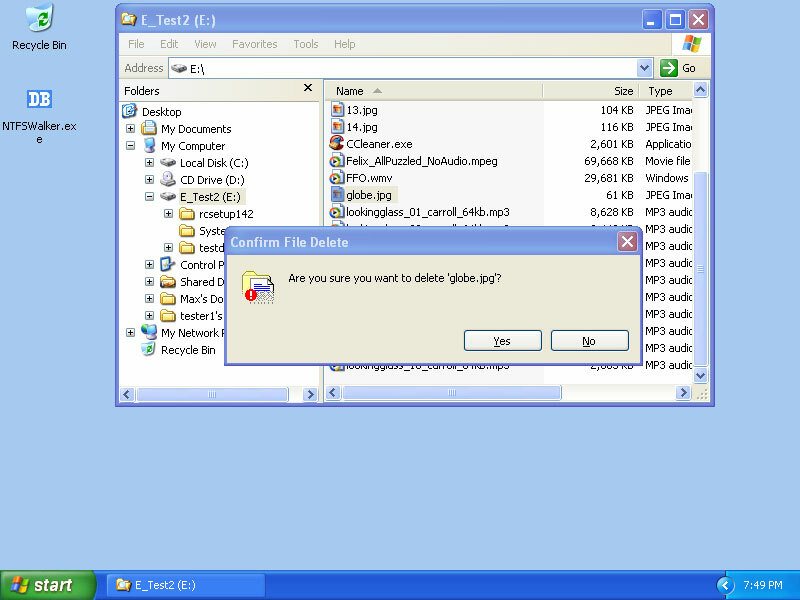 For this post we will be looking at Windows NTFS filesystems. Recovery is often done by looking at the raw data on the disk for data in areas that are marked as being available for use, then determine the file type and directory structure, copy them and save them elsewhere. In an NTFS file system deleted data is found by looking at the hidden $BitMap file for areas of the disk marked as available for use. The $BitMap file is a special file within the NTFS file system. 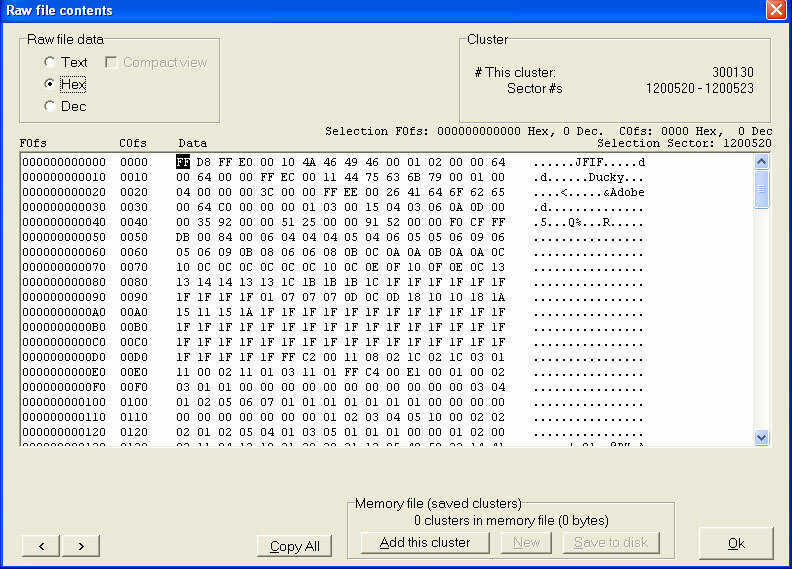 This file keeps track of all of the used and unused clusters on an NTFS volume. If data is found in an area of the disk that is marked as ‘unused’ in the $BitMap file then it is probably deleted data. 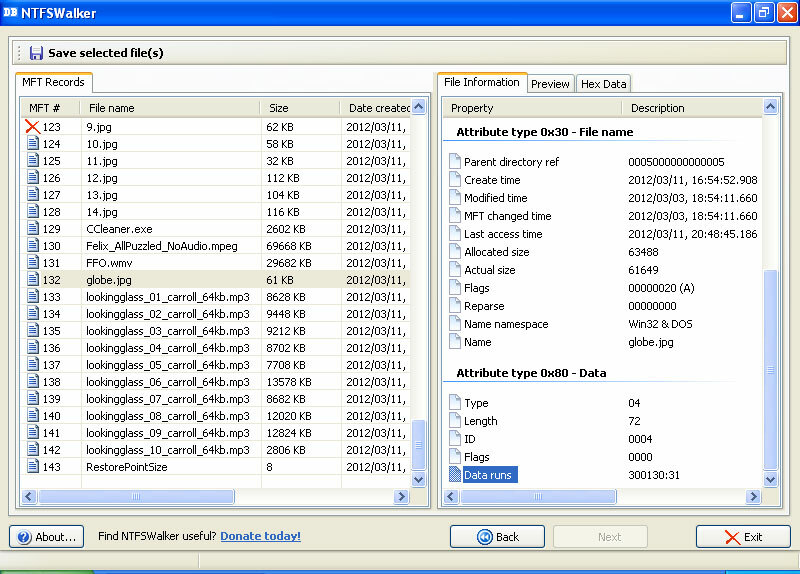 Next the location of the data can be used to check for an existing entry in the MFT. 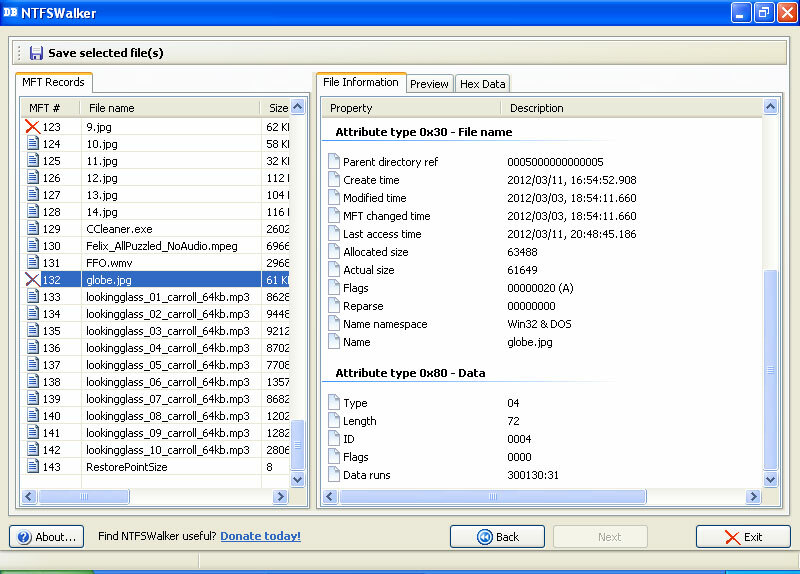 Each file and folder on an NTFS volume is represented by a record in a special file called the master file table (MFT). That record contains the location of the clusters on the disk that hold the file’s data. The MFT record for the deleted file will stay there until something else is written to that location of the disk and overwrites the deleted files data (making it unrecoverable). Enough talk, lets look at a real example. We have a hard drive with two NTFS partitions that Windows sees as a C: drive and an E: drive. ‘Data runs’ 300130:31 tells us that it starts in disk cluster 300130 and occupies 31 clusters. Note that our starting sector is 1200520. That means there are 4 sectors per cluster (1200520 sectors / 300130 clusters) . Now when we look at it’s MFT record we see a red ‘X’ next to it. That is because the area it occupies on the disk is now marked as available for use by the $BitMap file. The NTFSWalker program allows us to recover it but lets do this by grabbing the raw data and see what happens. First lets look at the end of the file. 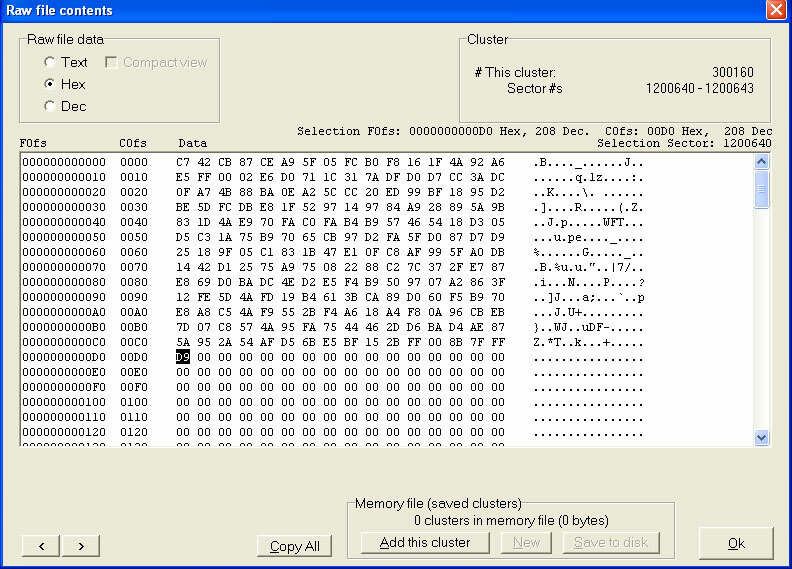 Notice that it does not use all of the last cluster and ends in sector 1200640. 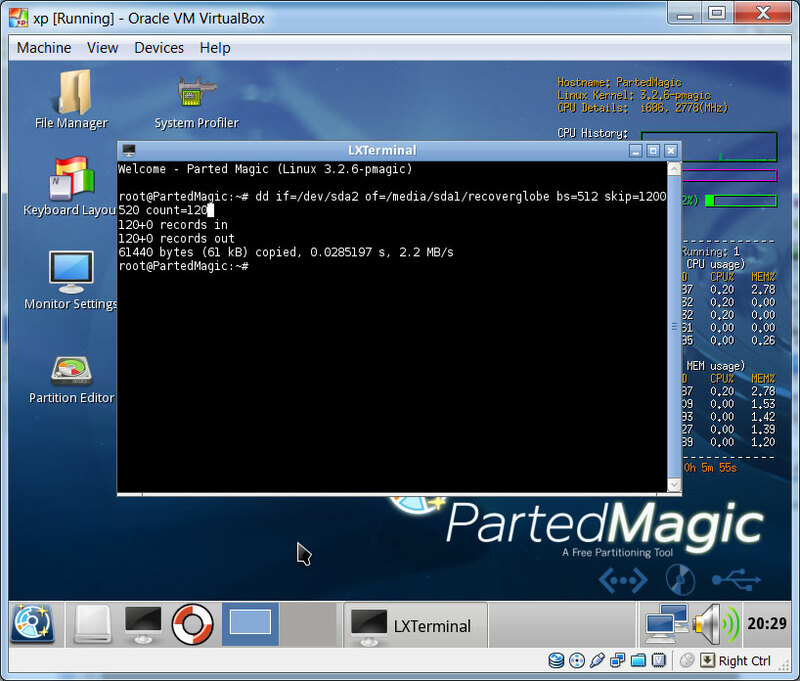 Now lets boot into Linux using a PartedMagic boot CD so we can grab the raw data using a Disk Dump command (dd). 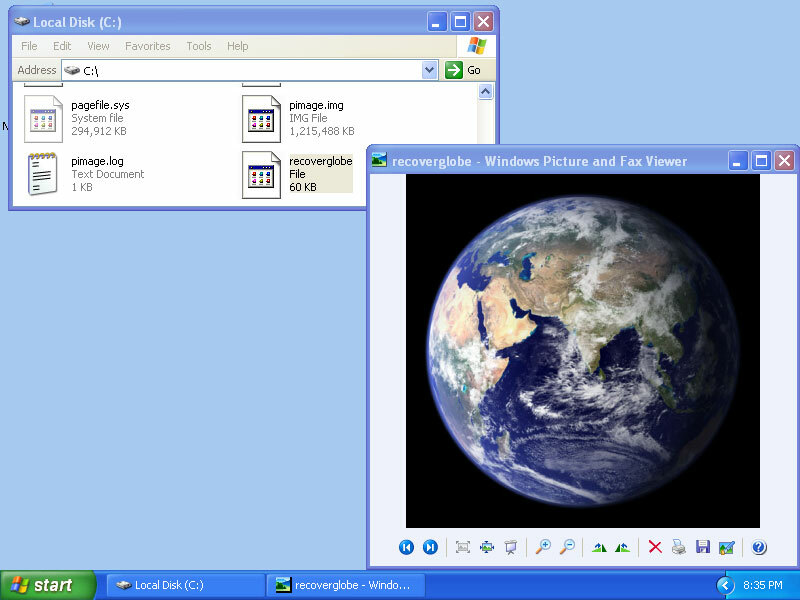 When we look at our new recoverglobe file it is indeed our picture. 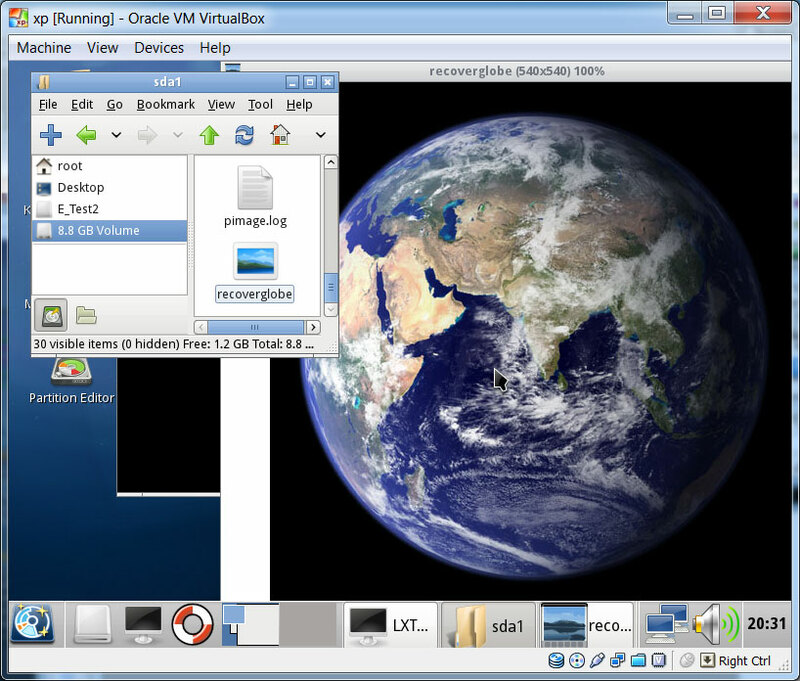 And when we boot back into Windows our recoverglobe picture is there in the root of our C: drive. Now lets copy a bunch of random files to our E: drive and see what happens. Note that our record #132 in the MFT is now replaced with a new file that is occupying some of the space that our deleted file was in. The deleted file is now unrecoverable. This isn’t manual recovery at all.